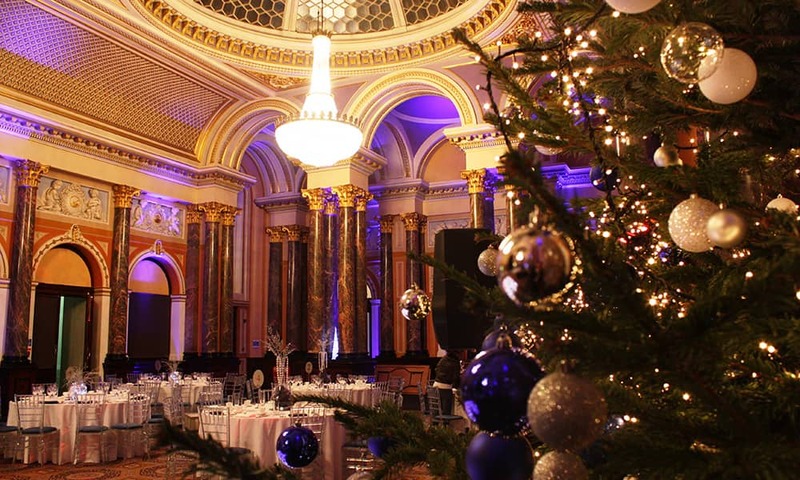 An elegant Christmas party at Gibson Hall to enhance this fantastic venue. 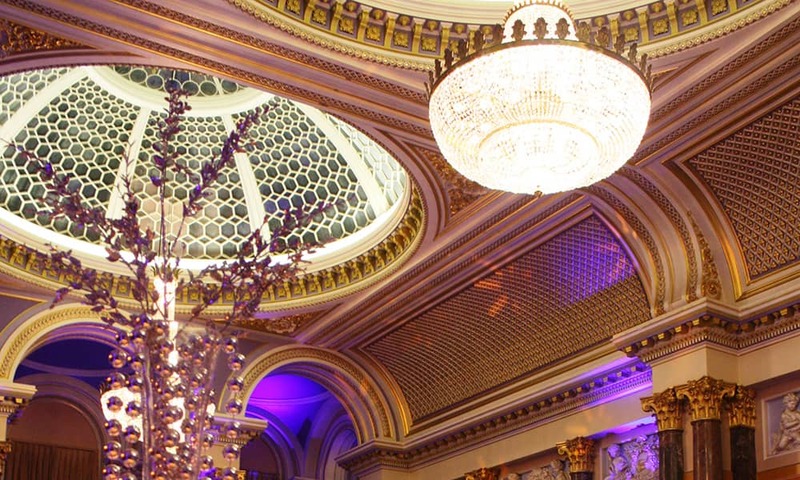 Gibson Hall, located in the heart of the City of London, has an impeccable reputation for hosting events. What used to be the Head Office of the National Provincial Bank of England the hall has original features relating to its banking history. 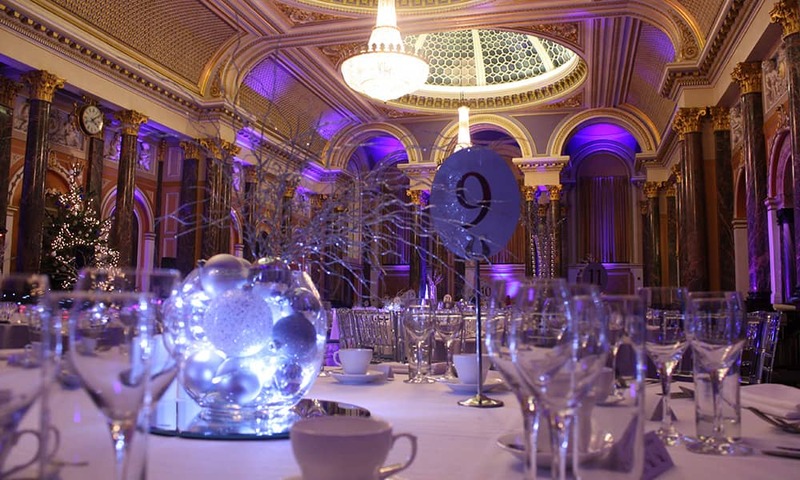 The Chandeliers add a true sense of sophistication to the venue, complimenting any event. 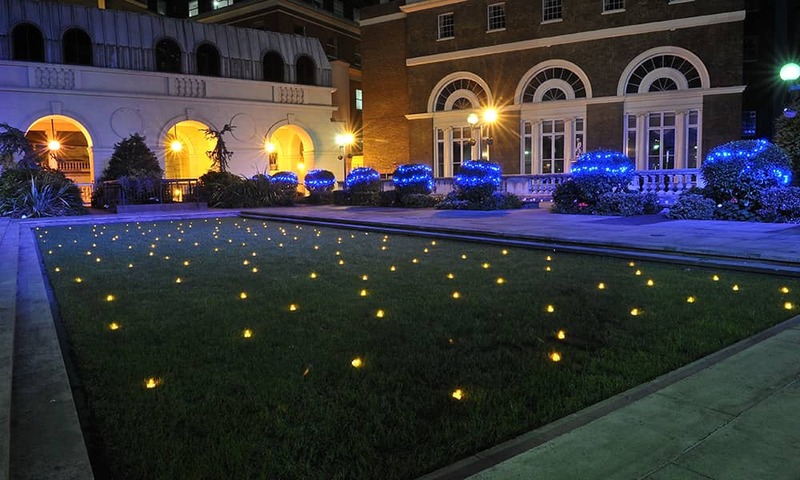 The venue has a flexible outside space with a beautiful garden often used for drinks receptions. 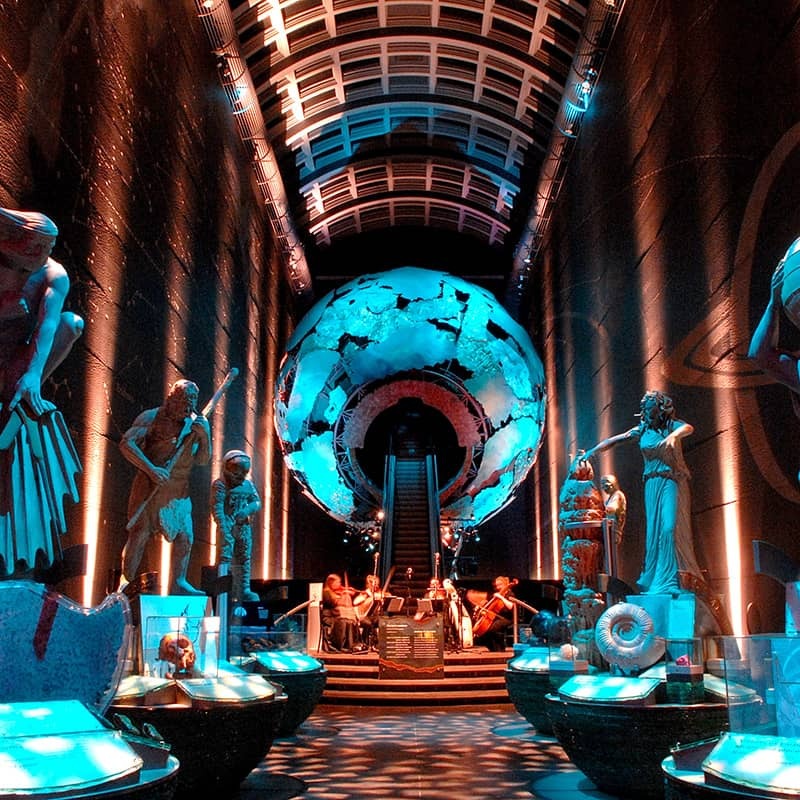 Gibson Hall is the perfect Christmas party venue – each year we design a party that not only complements the style of the building but also provides you with an exciting theme for you to immerse yourselves in. Where's the Christmas Party at Gibson Hall? 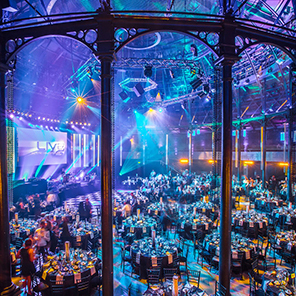 The minimum capacity for the venue is 100 guests which can accommodate a maximum capacity of 550 guests.